The Bronze Age in Persian and Greek Literary history represents a time in which the dawning of a new age was beginning. Works from Homer illustrated that Greek peoples were beginning to look outside their boarders. Like an infant crying at birth, part of the growing process was confronting the Persians. Confronting enemies was a major theme in the Homer’s The Odyssey, which mixed elements of part myth and part historical fact to illustrate the growing oppression in which the Greeks felt. The Archaic Period in Greek history represents a tyrannical stage in Athenian history in which the birth of the Polis became an essential way of life for the Greeks. The Greek epics of Homer and the glory of Greek mythology gave way to shorter, more personally philosophical works such as those by Archilochus of Paros. No longer could Greece remain quiet in the face of their enemies as their society and city-states grew. Moral and political issues were taken up and served to introduce direct confrontation in the Persian Wars. The Archaic Age in Greek history became known as the age of Athens and Sparta and the Persians. The classical period brought about reflection and definition of the Greek character in works by Thucydides and Herodotus. Thucydides and Herodotus both wrote of the Persian dominance over Greece and detailed the darker days of Greek military history during the Persian Wars. Towards the end of the Classical Age, the philosophic tradition was spent and a new emphasis on historical recording brought forth brilliant records of antiquity. Therefore, the changing temper of Athenian society in the 5th Century B.C. can be traced throughout literature and culminate in a distinct distrust and disdain for Persia. In Greek poetry, sculpture, and architecture—and in the underlying mythology that was the driving force behind that poetry, sculpture, and architecture—we see an incredible sensibility at work, one attuned to the loveliness of the created world, the physical beauty of men and women, and something that might be called the beauty of conduct. We have but to look in Homer to see that aspect of Greek culture that has captured the imagination of mankind for over two millennia for Homer almost drowns his readers in beauty. In The Odyssey we have “lustrous Calypso” (V:129); Nausicaa’s attendant’s are “maids with lovely braided hair” (VI:264); and Dawn rises “on her golden throne” (XV:62). These examples are three of literally thousands of observations which direct the reader’s attention to the beautiful aspects of existence. Ugliness and tragedy are contained in Homer’s world, but, over all, it is a filled with exquisite pleasures. The sculpture and the architecture are the same way. The temples are miracles of symmetry and order and artistic dignity. They reflect the influence of reason, balance, order, proportion, and brilliant technique in the service of a dream of a world that is seen to be essentially benign and noble. The historian J.B. Bury has described the Parthenon as the “perfect Dorian temple” and this sense of the “perfection” of Greek architecture—and of the “Phidian” plastic art stemming from the same place and period—was much believed in Goethe’s time. The Greeks solved the problem of maintaining the cohesiveness and supremacy of their own traditions in an entirely different, and perhaps wholly unconscious, way. They did not attempt to exclude other Gods from their world (indeed, sometimes they incorporated them into that world), but rather they seem to have immersed themselves in their own mythology. They appear to have structured their cultural life in such a way that, wherever a Hellene turned, he or she was confronted with some aspect of that mythology. This practice of immersing themselves in their own mythological beliefs was, perhaps, made easier by the fact that they stood on such a high cultural level; their arts and literature were superb. The pervasiveness of the mythological element in the culture of ancient Greece is beyond denial. Not only in the temple, but at the theater, during a walk in the country, during ordinary conversation, and at sporting events, the man/woman of ancient Greece underwent a constant exposure to stories, images, analogies, figures of speech, and other aspects of cultural and linguistic practice that referred to the system of mythology presented in Homer and Hesiod. Every stream, valley, and mountain had well known names and stories associated with it. Examples of this immersion of the Greeks in their own mythology are not hard to find. Thus at the opening of Plato’s Phaedrus we find Socrates and Phaedrus taking a walk in the country, a walk along the river Ilissis. Phaedrus turns to Socrates and says, “Tell me, isn’t it somewhere about here that they say Boreas seized Orithyia from the river?.” Socrates reply is that the exact spot in question is about a quarter of a mile away. Zeus in Greek Literature - Hesiod's Theogony, which, with Homer, serves as the fountainhead of Greek mythology, contains some of the stories concerning Zeus in Greek Literature. Nikos Kazantzakis - Nikos Kazantzakis research papers discuss the life and works of the famous author of Greek Literature who wrote Zorba the Greek and Freedom or Death. Ancient Greek Worship - Research paper on ancient greek worship are custom written at Paper Masters and cover many aspects of worship in Ancient Greece. Use of Cosmetics by Women in Ancient Greece - But the Greeks were known for colorful buildings and ornamentation. 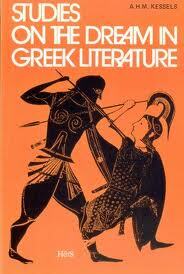 The Greek classical literature also suggests ample color in their lives. Myth in Homer's Odyssey - College research papers custom written on any literature topic. Paper Masters writes custom research papers on Greek Literature Research Papers focus on the famous ancient Greek authors such as Homer, Thucydides and Herodotus.